Illustrations created for commercial use. The illustration must have been published in the previous calendar year, and can’t be self-promotional. A range of illustrations is considered as one submission subject to a single fee. 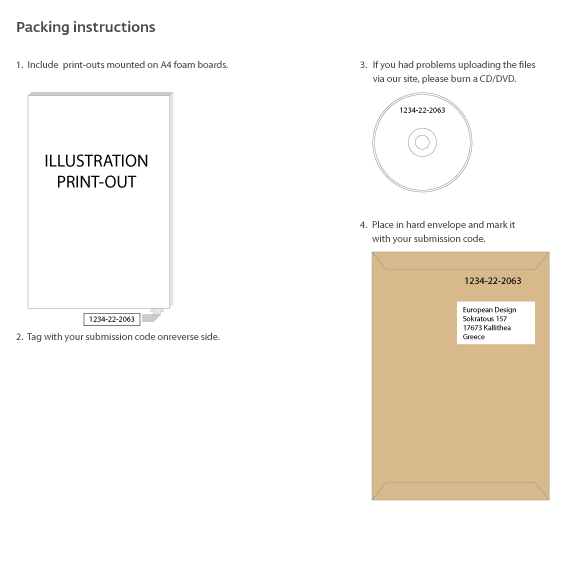 Save image files (and if applicable also digital photos) of the illustration as JPG (3600 x 1536 pixels, RGB, 72 dpi). Upload the images via this site or send physical samples if you deem useful (no later than 8 March).